Home » Online Real Estate School » What is good customer service? Aside from a good core product or service, customer service is one of the most valuable assets to a company. When someone asks you about a recent customer service experience, there’s a good chance your initial response starts with some variation of a sigh. After managing all of the incoming emails to our support email handle for the past two and one half months, I’ve learned a lot about other people and myself that you might find interesting. 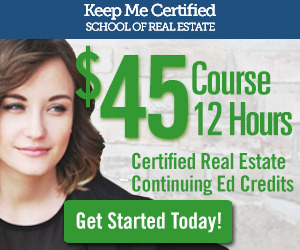 Since we launched our real estate school in January 2012 we have already had hundreds of users pay and complete our course. Like with any business, there are always people who just don’t get it. For example, recently we had a woman register for the course who sounded like she could’ve been my grandmother. Out of the few things that a user needs to do on our website, the toughest part may actually be giving us your billing information because you might make a mistake typing in the information. Earlier today I spent 15 minutes on the phone with this woman to explain how to sign-in to our website. Somehow she managed to register and pay without issue but she just couldn’t quite grasp logging in. I get it, everyone is different and sometimes people just need a little reassurance (hand holding) to get through an issue. There are also occasionally times when users are experiencing real issues too. 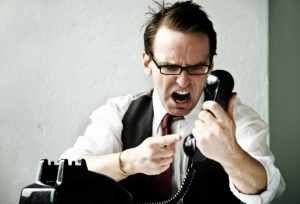 I’ve learned that the difference between providing an enjoyable customer service experience and one that leaves a bad taste in the customer’s mouth is whether the customer service representative can communicate with them on their level. That sounds like a simple task but really it’s one of the toughest and in part explains why big corporate support centers read from scripts. To run a customer support center the way the public wants them to be run, with “real talk“, within the first 15 seconds of talking to a support representative, the representative needs to gauge your level of intelligence. This is not to say that they’re better than you but if they misread you as being more intelligent than you are then they will appear to be talking above you. Likewise, if they hold you to a lower level of intelligence than you are then you’re probably going to get upset very quickly that they’re holding you to such a low intellectual standard. Either way, there isn’t much room for error and if you’re wrongly judged, it immediately jades the entire experience. Last week the internet in my apartment went out for a period long enough to make me take action. Before giving in and calling customer support I did as much troubleshooting on my own as possible. When I finally gave in and got a real person on the phone, I had explained the entire situation and even included my own diagnosis of the problem. The support guy proceeded to ask me if my wireless router was plugged in to a power source. From that point forward the tone of the conversation had changed from nice/understanding to hostile. Turns out I was right and if the guy had just agreed with me from the start we would’ve saved each other about 10 minutes of aggravation. I’ve determined it’s better to make the mistake of holding people to a higher standard than you think because on the flip side, if you think and treat them like they’re stupid, but they’re not, you’re essentially insulting them and they’ll turn in to me on the phone with the internet company. Like with most things, you learn from experiences and luckily for our customers the Dealroom team has had the pleasure of experiencing plenty of poor support. Perhaps that is the key to improving this entire industry, only hire support representatives that have strong feelings about previous poor experiences dealing with corporate support centers. We, Dealroom Partners, want to be the best out there so If you’ve taken our continuing ed course at keepmecertified.com we’re always interested in hearing how we did. Further, if for any reason you reached out to our support team we really appreciate your feedback as it helps us to improve.